Riverside Therapist: Pacific Grove Hospital - Therapist 92506. Send A Message To Pacific Grove Hospital. With an unparalleled commitment to offering world class treatment in an atmosphere that instills hope for a bettertomorrow, Pacific Grove Hospital in Riverside, California supplies various levels of care to help adults, ages 18 and older, and adolescents heal from numerous mental health concerns and recover from addictions. If a man or woman is grappling with untreated and unmanaged symptoms of depression, bipolar disorder, anxiety disorders, trauma, and other such issues, Pacific Grove is uniquely prepared to provide effective services that can alleviate these mental health concerns. Inpatient psychiatric services are specifically designed to be a short-term treatment option that can jumpstart a person's healing journey. 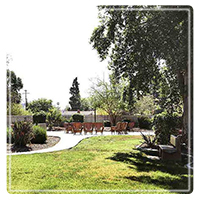 While in this level of care at Pacific Grove, adults benefit from personalized treatment planning, various therapies, and ongoing support from expertly trained staff members. Additionally, once an individual's time in inpatient care is complete, Pacific Grove Hospital offers a partial hospitalization program (PHP) and intensive outpatient program (IOP) so that men and women can continue making positive progress in learning to manage and cope with mental illnesses in a healthy manner that prevents the need for more intensive treatment in the future. Pacific Grove Hospital is also pleased to provide high quality chemical dependency inpatient services so that men and women can defeat addictions to alcohol, opioids, methamphetamine, and other harmful substances of abuse. This level of care offers medically monitored detox services, numerous therapeutic supports, and the resources needed to achieve successful recovery. Upon completion of this sort of treatment, adults are welcome to partake in chemical dependency PHP and IOP as a means of solidifying their confidence in remaining substance-free. Pacific Grove Hospital also offers dual diagnosis PHP and IOP for those who are looking to heal from both mental health and substance abuse issues. These programs, which are also open to men and women alike, provide the specialized interventions adults need to heal from these simultaneous issues and truly transform their lives for the better. Pacific Grove Hospital also supplies an adolescent outpatient program, a program designed especially for trauma-exposed professionals, and a family treatment program for those closest to the individuals treated at this renowned hospital. The adolescent outpatient program incorporates the Living in Balance philosophy for treating substance abuse problems, and offers medical care, psychological support, and the activities young people need to reach and exceed their recovery goals. The trauma-exposed professionals program, which is for military personnel, those in law enforcement, first responders, and other public servants, provides state-of-the-art trauma-focused care that can help men and women persevere through past trauma(s) and realize a life that is happy once more. The family treatment program is meant to assist friends and loved ones in healing alongside someone who is being treated at this hospital. Weekly family therapy sessions are the foundation of this program, as they allow those closest to Pacific Grove patients to process and heal from the effects of their loved one's mental health and/or substance abuse concerns. In At Pacific Grove Hospital, true and lasting recovery is within every person's grasp.